Katy Perry's Mad Love is the latest addition to her range of perfumes and launched some time in the summer of this year (I think, June 2016). It is described as a luscious enchanting fragrance with a mix of fruity, warm, and floral notes. I generally steer away from celebrity fragrances, not just because a lot of them seem like yet another way to make money off a popular name, but also because most times, the perfumes themselves don't seem to work for me. Needless to say, I wasn't expecting anything different from Katy Perry's Mad Love, so I got a bit of a pleasant surprise with this perfume, starting with the design of the bottle. The perfume is packaged in a pale pink round bottle with a marble-like cap - quite a subdued color palette, especially when compared to Katy Perry's earlier launches. As for the perfume itself, scroll on to read more. True to the description, this is a fruity floral fragrance, with the juicy fruit notes seeming a bit excessive with the initial application, but I get a hint of bitterness, perhaps from the grapefruit, that keeps it from being an overdose of syrupy sweetness. As it settles in, warmer woody notes come into play, and the perfume starts to mellow down a bit. It's a simple perfume, and the mix of notes isn't anything new in the world of perfumes, but the balance of fruity sweetness and warmth is just right for me. The initial fruity floral blast settles to a softer sweet fragrance which lasts about 4-5 hours on my skin. It won't be too much of a stretch to assume that the target audience for this perfume is probably a teenager/younger Katy Perry fan, and this just might be the perfect gift for someone like that. 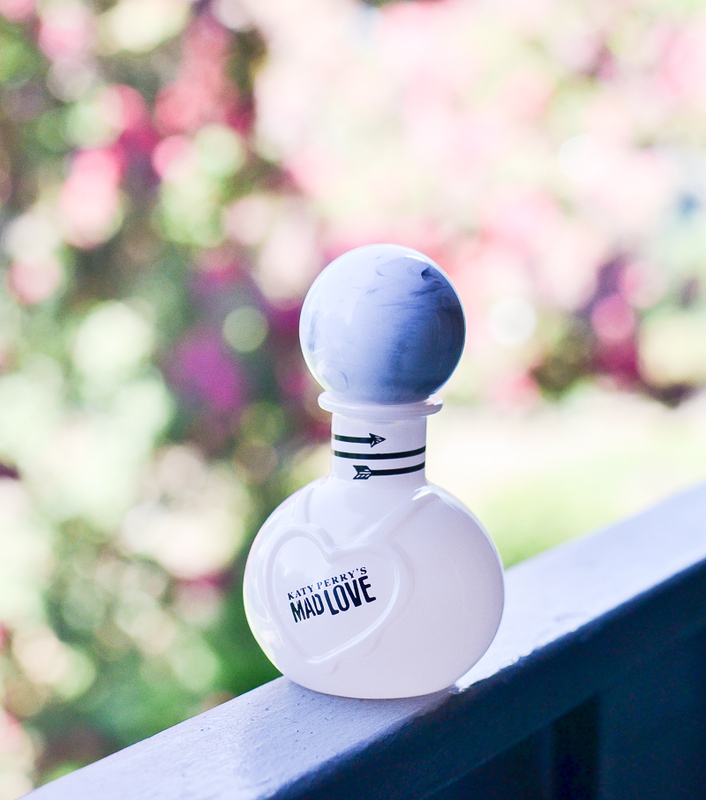 While I cannot tick any of those boxes myself, I love sweet, fruity fragrances, and Katy Perry's Mad Love is something I could easily wear for a casual day out on the weekends during the cooler fall-winter months ahead. 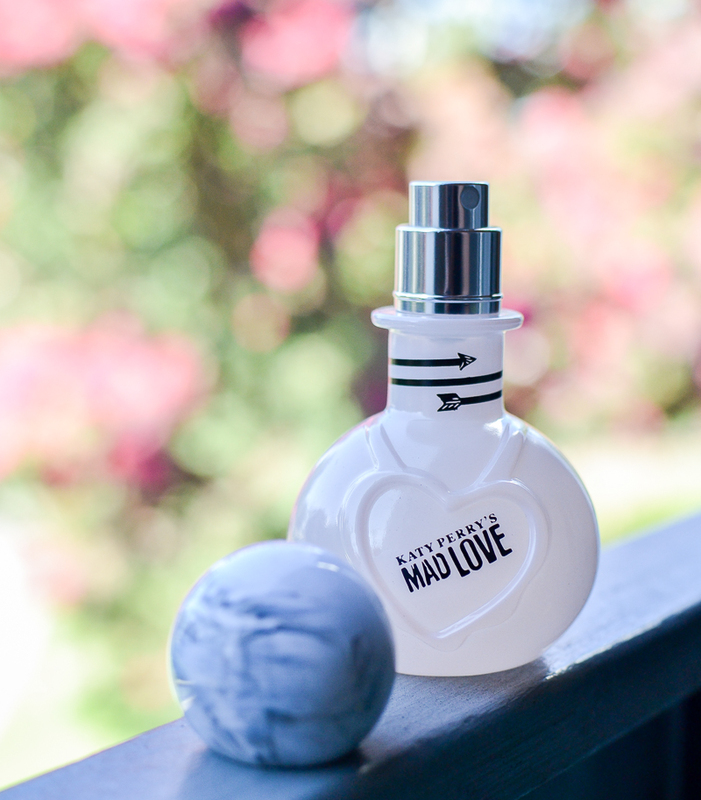 If you are the sort who reaches for a sweet fruity-floral perfume, then Katy Perry's Mad Love is a fun fragrance to try, especially for the price.